2012 Chrysler 200 Touring 200 Touring, 2D Convertible, 2.4L I4 DOHC 16V Dual VVT, 6-Speed Automatic, FWD, Bright White, black Cloth.Priced below KBB Fair Purchase Price! Reviews: If you covet a nicely detailed mid-size all-American convertible that can comfortably seat four adults with usable room in the trunk, even when the power top is dropped, this is your car. Source: KBB.com Lots of features for the price; strong V6 engine; composed ride and handling; available convertible model. 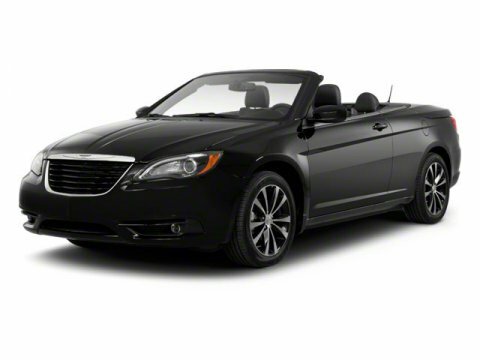 Source: Edmunds If youre looking for a mid-size sedan with a stylish and well-appointed interior, a powerful V6 engine and a decidedly European driving attitude, the 2012 Chrysler 200 deserves a nice, long test drive. Source: KBB.comOdometer is 16693 miles below market average! 18 29 City Highway MPG Awards: 2012 IIHS Top Safety Pick Recent Arrival! SWAG PRICE INCLUDES DEALER CHRYSLER CAPITAL FINANCE SAVINGS AND IS VALID ONLY WITH 100% FINANCING THROUGH CHRYSLER CAPITAL. Online Prices Only Available Upon Customer Request and Employees, Former Employees and Friends, Family, Vendors, of Stephen Wade, Dealers and Wholesalers may not Qualify for Online Pricing. Contact Dealer for Details. All offers are subject to change at any time. Certain vehicles may have unrepaired safety recalls. Check nhtsa.gov recalls to learn if this vehicle has an unrepaired safety recall. Inventory shown here is updated every 24 hours.